10% discount applies on tuition fees for enrolments of the second and subsequent siblings. The first sibling must be an international student currently enrolled in a NSW government school. Where there are multiple new applicants from the same family, the eldest child will be considered as the first applicant and discount applies to all subsequent children. The discount applies to the total period of time siblings are concurrently enrolled in NSW government schools. Your sibling is someone who has at least one parent in common with you. 10% discount applies to tuition fees for regional enrolments (subject to availability of homestay in particular regions). Schools outside greater Sydney or Wollongong are considered regional. The discount applies to the total period of time students are enrolled in regional NSW government schools. A maximum of 10% discount on tuition fees per student is applicable. The discount does not apply to the Temporary Residents Program. - compulsory excursions up to the value of A$300. School transfer fee applies to students who request a change of school after a Confirmation of Enrolment (CoE) has been issued. 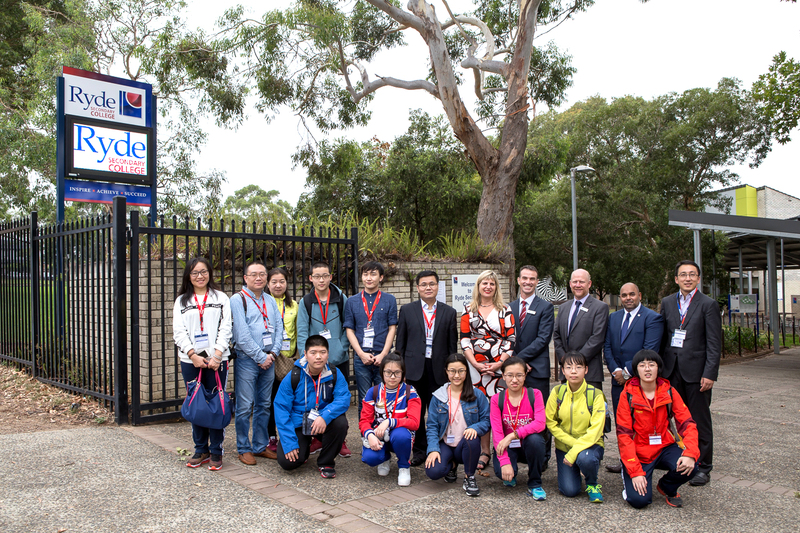 Medibank Private is DE International’s preferred supplier for Overseas Student Health Cover (OHSC). Medibank Private updates its rates on an annual basis. The rate shown is the 2018 rate. Rates vary with duration of cover required. More information on Medibank OSHC. The new tuition fees and service fees will apply to all students with enrolments in 2020. 10% discount applies on tuition fees for enrolments of the second and subsequent siblings. The first sibling must be an international student currently enrolled in a NSW government school. Where there are multiple new applicants from the same family, the eldest child will be considered as the first applicant and discount applies to all subsequent children. The discount applies to the total period of time siblings are concurrently enrolled in NSW government schools. Medibank Private is DE International’s preferred supplier for OSHC. Medibank Private updates its rates on an annual basis. The rate shown is the 2018 rate. Rates vary with duration of cover required. More information on Medibank OSHC. Study Abroad weekly fee is $330 in 2020 and will increase to $350 in 2021. NSW Department of Education reserves the right to review its fees. If tuition fees are increased you will be required to pay the new fees as they are introduced. If you defer the commencement date of your course, you will be required to pay the fees which apply at your new commencement date. The Department of Home Affairs has estimated annual living costs as A$20,290. As part of the student visa application process students must demonstrate that they have access to sufficient funds to cover both tuition and living costs for the duration of their studies. For the full refund policy, refund procedure, and complaints procedure please refer to the Terms and Conditions of the NSW Government Schools application form. The cost of a student exchange are determined and managed by registered secondary exchange organisations. A list of registered secondary exchange organisations can be found here.